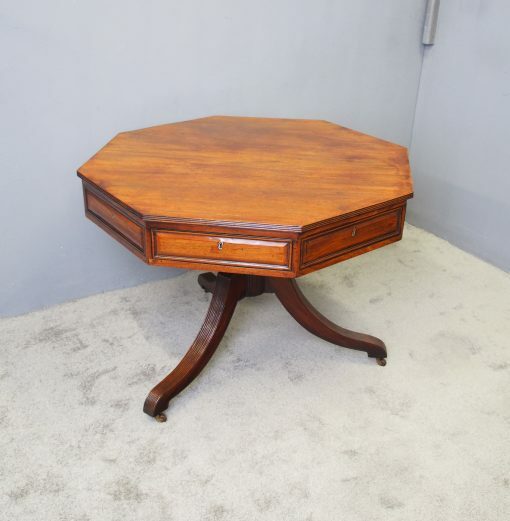 Circa 1810 with restorations, Regency mahogany rent table. 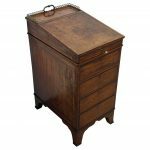 The octagonal top figured mahogany with fluted edges sits over 4 real and 4 faux ebony inlaid and chamfered frieze drawers. 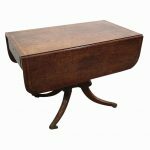 It is standing on a gun barrel stem over three fluted, scrolled supports on porcelain castors.